Immanuel French Kitchen is situated at the location where De Burg was previously, exactly at the same spot. 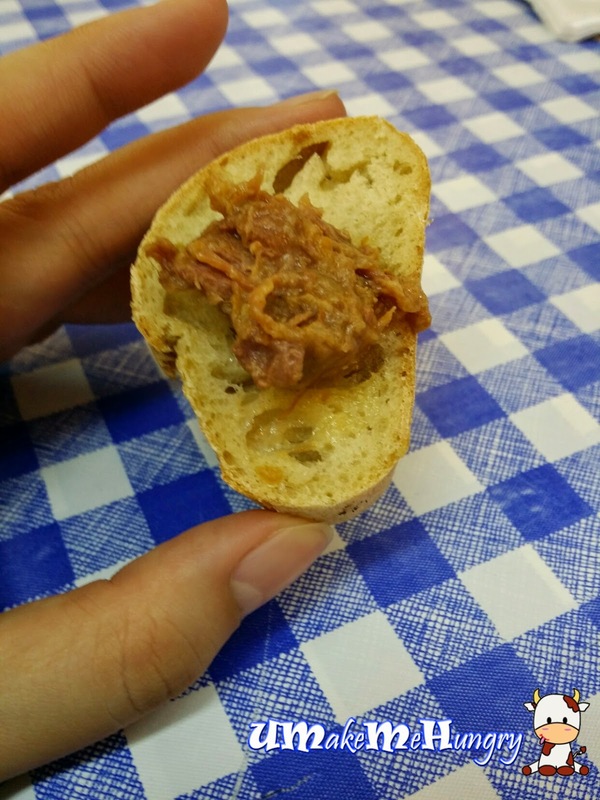 The search for a pocket friendly French Cuisine is something you are looking for if you dont mind a kopitiam environment. As mentioned in the previous post, the kopitiam is something out of the ordinary and perhaps one that served "atas", restaurant quality standard of food. 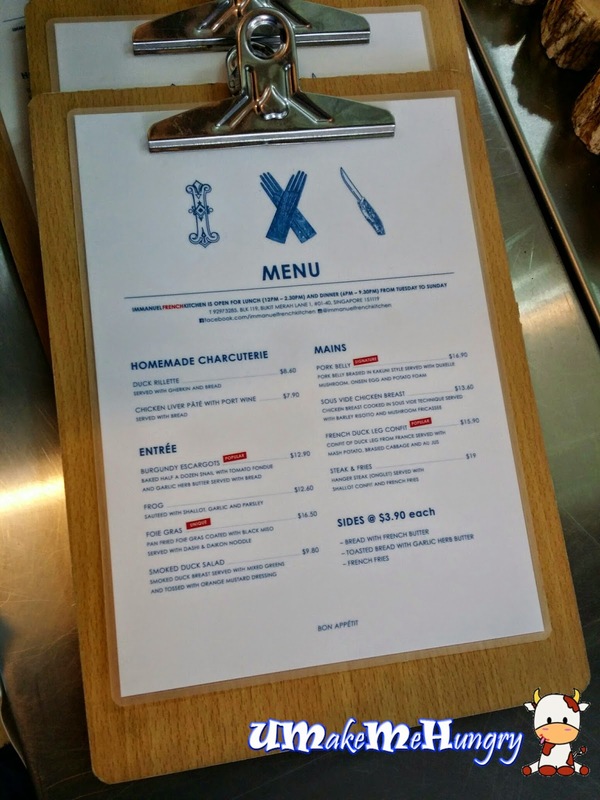 Menu was rather simple and straight forward, consisting most essential must have food from the French Cuisine Menu like foie gras, duck confeit etc. 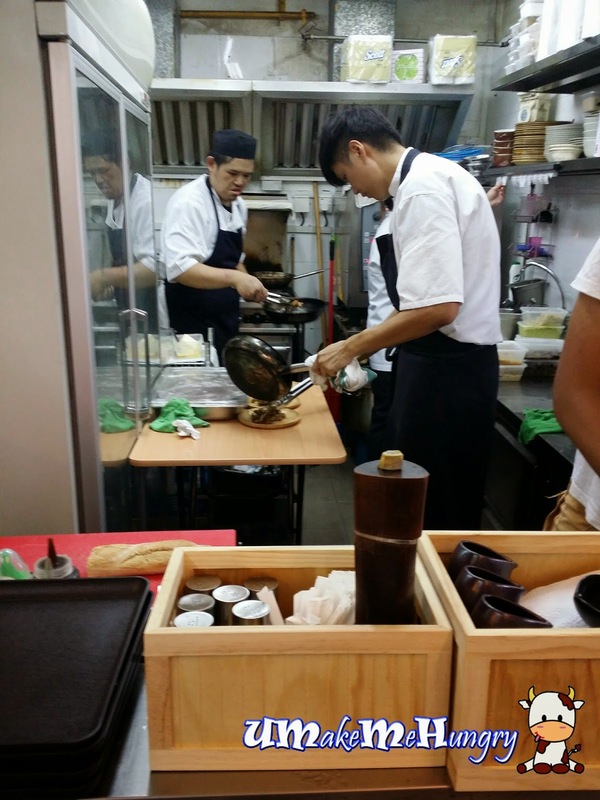 A look into the kitchen and we get to see Chef Immanual on his job and there are no secrets for its open concept. 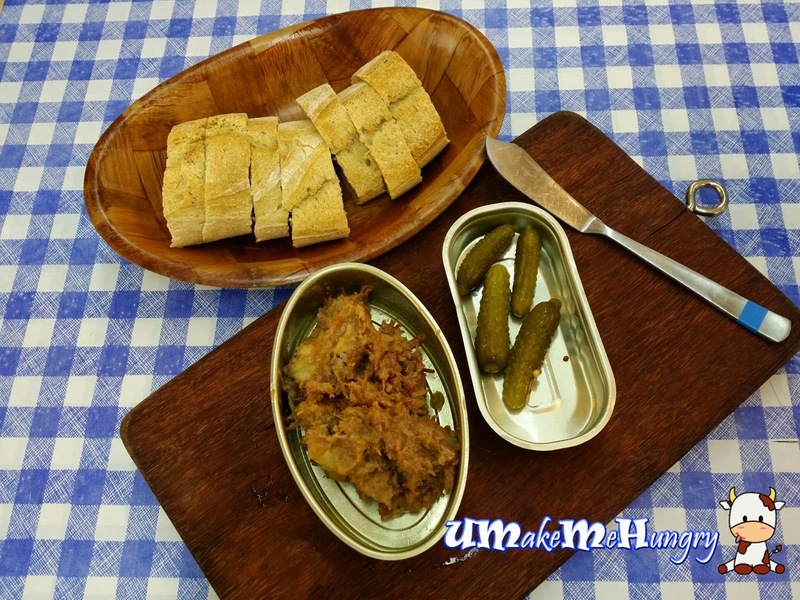 For our starters under homemade Charcuterie, we had the duck rillette and this was served with gherkin and bread. Spread some of the duck rillete on the slice of bread given and enjoy the moist and buttery bites off. 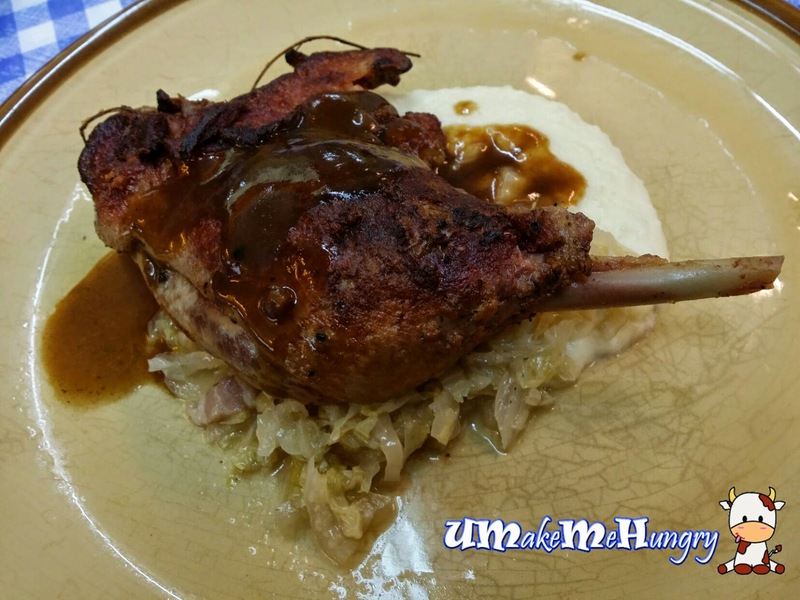 Moving into the mains, we had one of the staples selection in French cuisine, the confit of duck leg. Imported from France served sitting on a bed of smashed potato, braised cabbage and Au Jus. Simply love its outer layer for its skin is "crackling-ly" good! 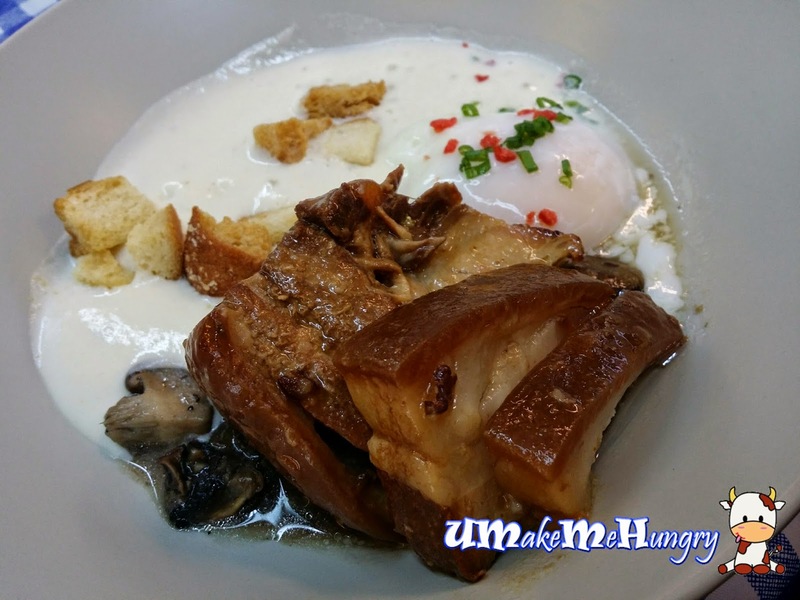 Another starring dish - Braised pork belly in kakuni style served with duxelle mushroom, onsen egg and potato foam. Deliciously plump and yummy! 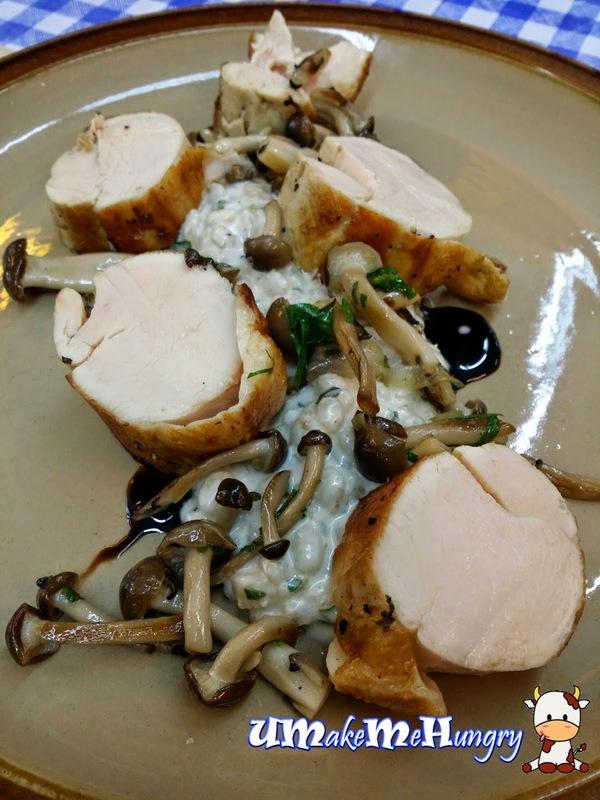 The last main dish we had was Chicken breast cooked in Sous Vide Technique served with barley risotto and mushroom fricassee. The chicken meat came in a circular shapes which reminds me of those pre-packed Toufu we had from the market. The verdict: alot of affordable french cuisines dining were seen popping up in the malls and neighborhood recently. Strategically located to their targeted customers and gradually the idea of relating French Cuisine to "having to spend a bomb" is out of the picture. Enjoying such french cuisine may be deemed affordable and reasonable now. 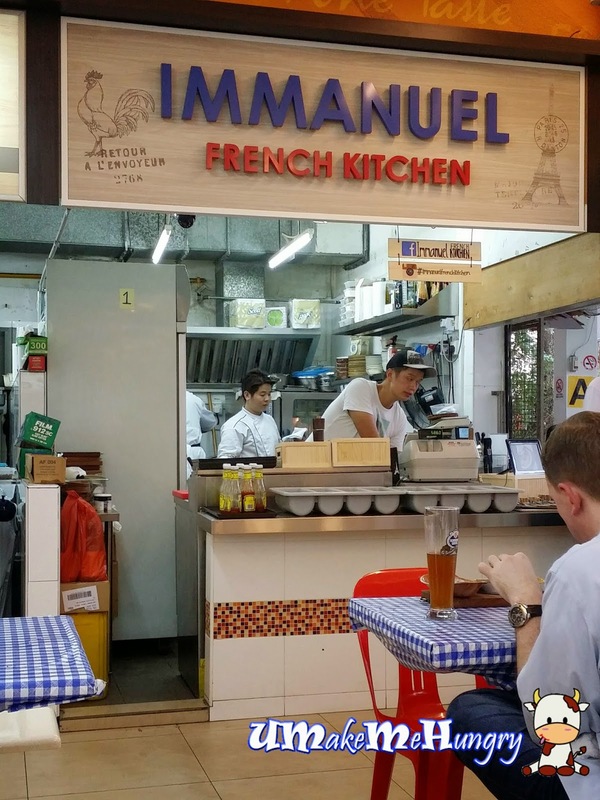 Though Immanuel French Kitchen is relatively new and had just joined in the "clan", I would say that they are good but not the best in the West.